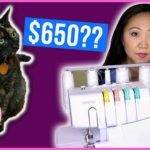 PSA: Keep Your Cat Away From Sewing Machines | Save $650 in Vet Bills! 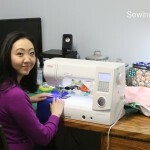 Recently, we had a sewing machine scare involving our cat “Gato.” She jumped on a table, chewed the thread on my Brother 1034D serger, then swallowed some – dragging it all over our apartment. Are You a Quilting Addict?